Are you Bathing your Child Too Much? Our babies and children absolutely love their bath time! For us, as parents, we enjoy a bonding activity over a relaxing bath and it’s also about establishing a routine while giving them play opportunities. What’s more, for our child with eczema, we tend to think that bathing can remove dirt, irritants and allergens from the skin surface, at the same time, it softens the skin by helping it take up water. But do you know that bathing frequently is not necessarily a good thing? According to the National Eczema Society, too much water used in baths and bubble baths today are linked to higher rates of babies suffering from eczema. People do not realize that daily bathing in just simple water can also dry out skin, as it removes natural sebum from the skin surface. Hot water and long soak times can also strip the skin of its natural oils which are supposed to protect it against harsh chemicals and other allergens. When protective layer is weakened, allergens or irritants that float around in the water can reach your child’s skin, dry it out and trigger her sensitive skin that worsens her eczema. Do How We Bath our Child Matter? There is no consensus on the best bathing practices, which is why many parents are confused. Remember this, skin does not have to feel tight and dry to be ‘clean’. According to an expert who studied effects of bathing frequency on skin barrier, bathing once daily is fine. But, avoid too much soap and bubble baths as they may irritate skin and worsen eczema in some cases. If you find daily bathing does not seem to help your child’s eczema, perhaps considering switching to less frequent baths or showers. 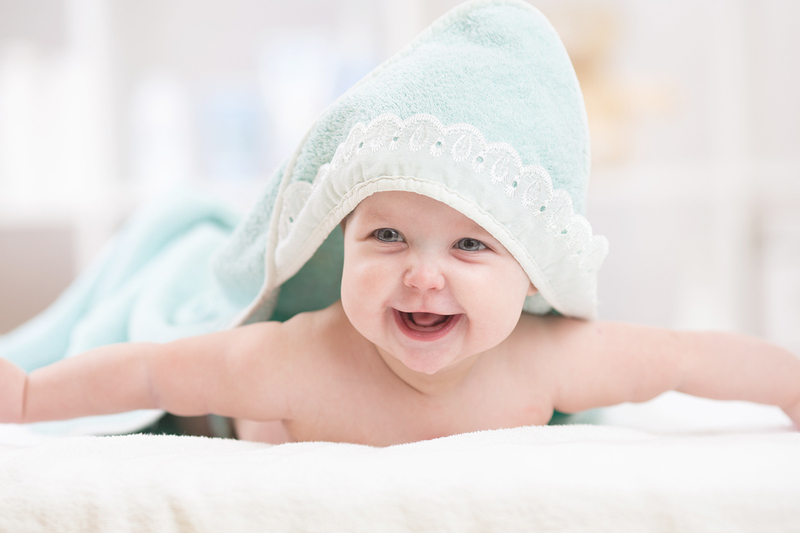 FAQ 1: How often to bath your baby? Or shower your child? Our rule of thumb is a frequency that will not lose as much moisture through bath or shower; and retain as much moisture after the routine. Generally speaking, it should not be more than once daily. But, exposure to dirt and other environmental factors may change your baby and child’s bathing frequency; for example, it may vary when your baby sweats a lot; and the heat and sweat exacerbates his eczema. Don’t forget to slather plenty of moisturizer after a bath to seal in the moisture. 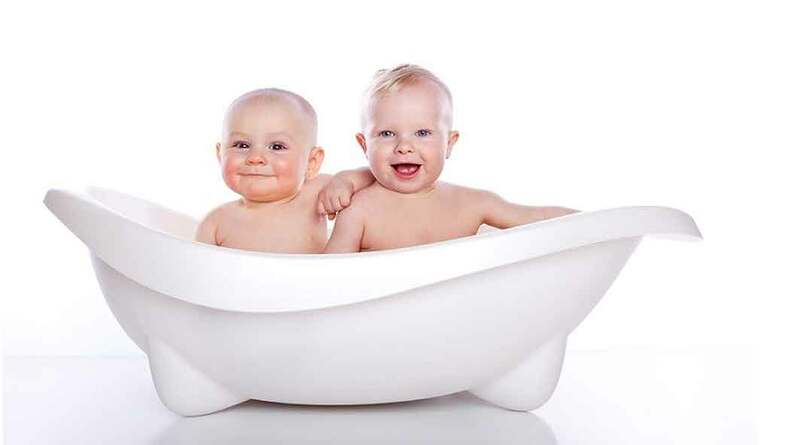 FAQ 2: What should be the temperature of water to bath a baby? Lukewarm water is recommended; never hot water. Again, heat induces a loss of moisture from the baby’s already sensitive skin. A comfortable bath water temperature for your baby should be between 97°F to 98.6°F. FAQ 3: How long to bath or shower? For a baby, try to limit bath time to about 10 to 15 minutes. As your baby gets older, she may no longer fit into a bath tub and prefers to bathe standing, that is, taking a shower. In shower, you may want to reduce the wash time to 5 minutes or less. Your child’s sensitive skin that is relatively thinner may react badly to the pressure or force of water, albeit relatively weak for her body. Be mindful that your child should not spend too long in either a bath or a shower to avoid bath-related eczema flare ups. FAQ 4: What bath products to use? Go for ‘pH-balanced’, ‘gentle’, ‘natural’, ‘soap-free’ or ‘fragrance-free’ bath products. Avoid soaps because they are alkaline in nature or bubble baths that often trigger irritation. For your peace of mind, Bellary Nature Skin Nourish Bath Essence (Bath Oil) is an excellent and safe choice for your baby and child. One to two capfuls can be added to your bathwater to offer emollience whilst gently cleansing without over-stripping the natural oils from the skin. It leaves a thin layer of beneficial oils on your child’s skin; hence no rinsing is required. Alternatively, Bellary Nature Baby & Kids! Natural Hair & Body Wash also offer natural soap-substitutes that are gentle, plant-based, pH-balanced and rich in glycerin (a humectant) and soothing extracts to offer mild cleansing without over-drying for our little ones. Pump a small amount onto your palm and rub into skin before rinsing off with water. FAQ 5: What to do after shower? Once your child is out of the bath or shower, pat dry with a soft towel (don’t rub towel against skin) and moisturize instantly. This process is known as ‘soak and smear’ and it helps a lot with stopping her itch-scratch cycle. Tips on choosing the right moisturizer were shared in earlier articles, Skin Expert’s Guide: How to Choose the Right Moisturizer for Eczema Skin and Making the Right Choice: Understanding and Using Products for Eczema Skin, so do refer as required. FAQ 6: Shower or bath – which is better? It is much easier to bath a baby or a toddler. Older children tend to prefer shower. They are more logical choices that vary as a child grows and develops. What is more important is paying attention to the bathing or shower tips explained in this chapter to establish proper steps and regimen that will minimize disruption or water loss to her eczema skin. Bathing and shower are just normal routines and do not seem like much. But, it does matter when it comes to sensitive, eczema skin of the little ones we love. Applying the right bathing or shower care and steps can huge benefit them in the long run as they minimize number of flare ups and helps normalize sensitive skin. In What’s the Deal of Bath Products with Baby’s Eczema?, we will look at bathing matters and a little science in that bottle of bath products formulated for sensitive, eczema skin. Why is everyone concerned about pH when it comes to bathing? And, how does this affect your choice of bath products for your child? This entry was posted in Baby Eczema, Eczema & Bathing, Eczema & Dermatitis and tagged baby bath time and eczema, bath products for eczema, bathing guide for eczema baby, eczema baby bathe too much, eczema bathing tips for babies, how to shower eczema child, soak and seal.